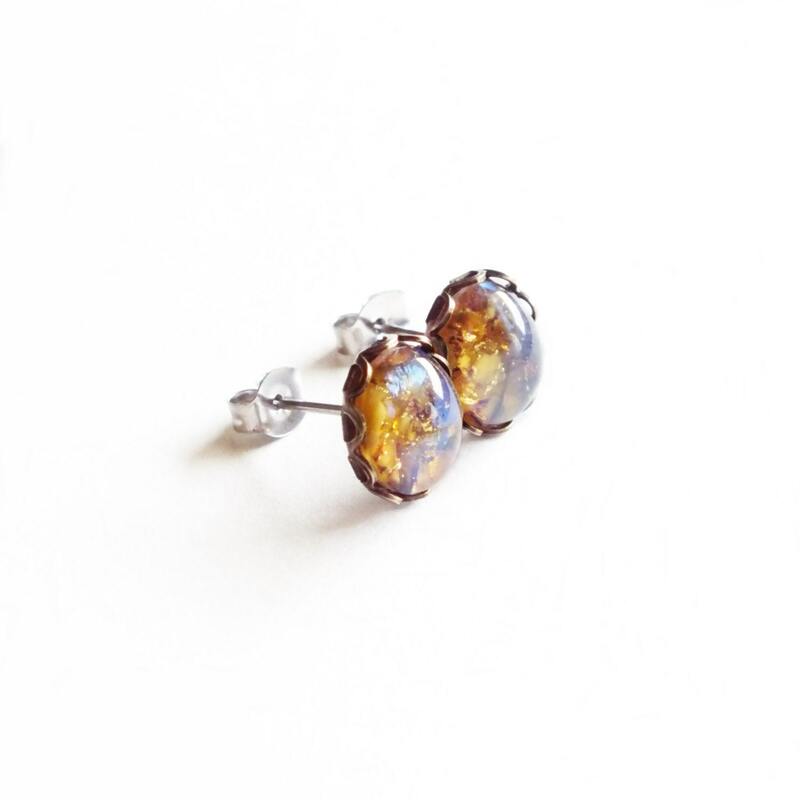 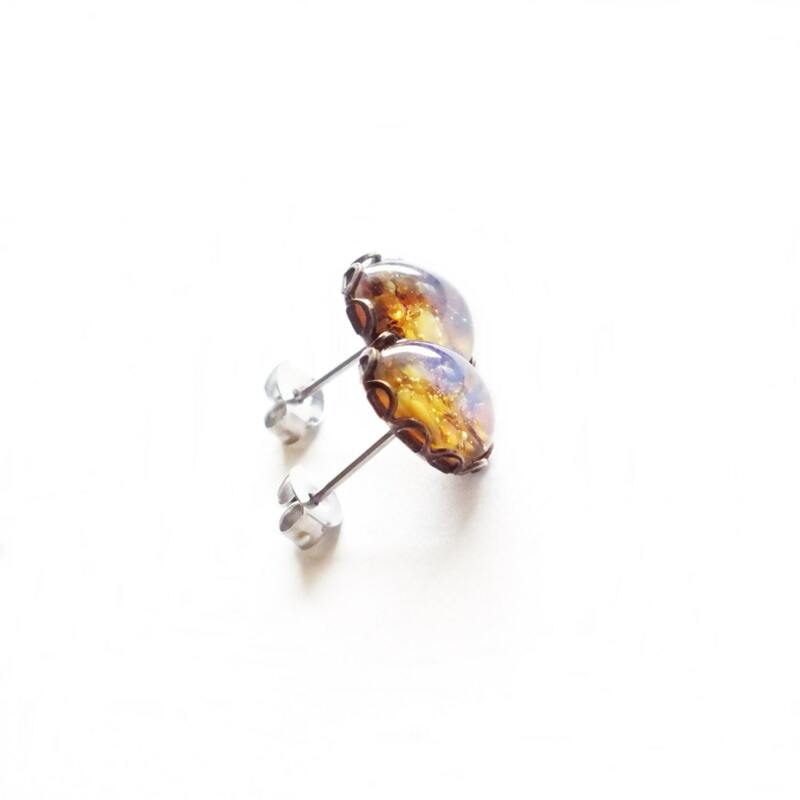 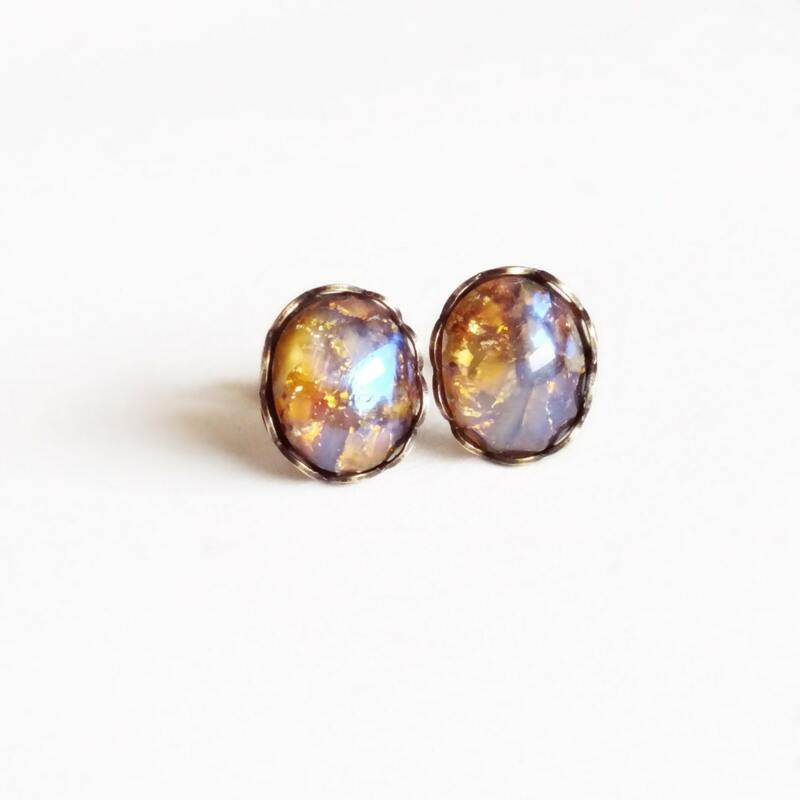 Handmade yellow opal stud earrings with vintage topaz glass harlequin fire opals. 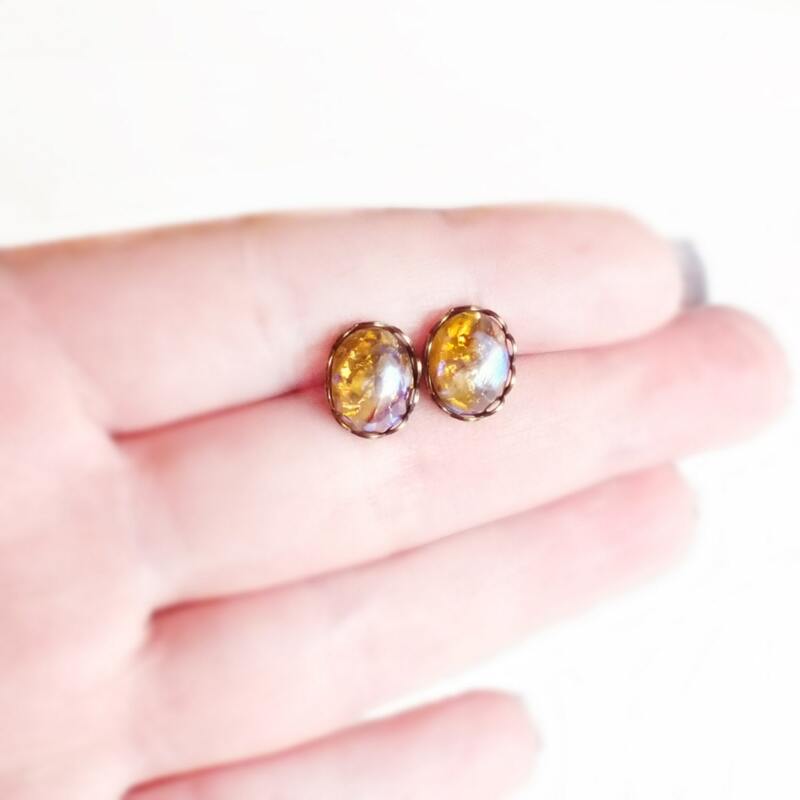 Beautiful iridescent amber/topaz colored glass fire opal cabochons set in antiqued brass and secured to hypoallergenic posts. 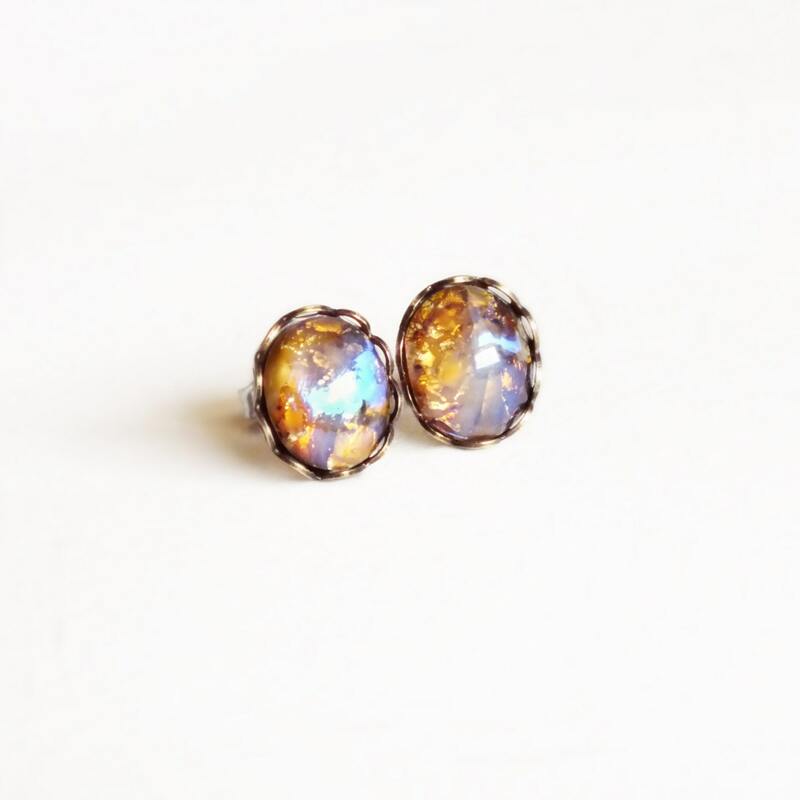 These have a beautiful violet/blue iridescent 'fire'!